Spartan Logistics is seeking a Night Shift Shuttle Driver to be available to work from 6:00 pm to 6:00 am with some variation. This position requires you to work Monday-Friday. May vary due to holidays. 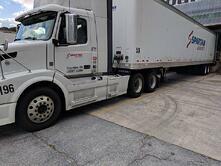 Must have 2 years CDL driving experience and license in good standing. A Class A CDL License is REQUIRED. 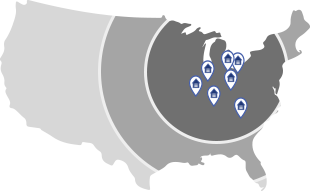 Candidates must have the ability to move many trailers in a high traffic area. The Shuttle Driver is responsible for maintaining the organization of the lot at all times. A competitive compensation plan that includes Medical, Dental, Paid Time Off, 401(K) plan with company match is offered and so much more. $21.00/hour based on experience and a Sign-On Bonus. Candidates must have a valid Class A CDL License and safe driving history (CSA). MVR evaluation will consist of a valid driver's license with no more than two major violations within the past three years and knowledge of record keeping. Major convictions include DUI, DWI, hit an run, homicide or assault, suspension or revocation and reckless driving. Candidates must have a good work ethic and a reliable means of transportation. Organizations skills, as well as the ability to multitask and prioritize in high-pressure situations, are a must. This is a full time, hourly position. 3-5 years experience preferred. Must adhere to all safety requirements. While performing this job you would frequently stand, walk, sit, use hands to finger, handle, or feel; reach with hands and arms and talk and hear. You must frequently lift or move up to 50 lbs. Specific vision abilities required by this job include close vision, distance vision, and depth perception. Willingness to stay until the job is done with a cheerful attitude. Attention to detail in all aspects of the job. Ability to do four operation arithmetic in your head. You will be required to wear steel-toed boots or equivalent safety shoes. Candidates must have a valid Class A CDL License, previous driving experience and be compliant with all DOT regulations. A complete benefits package including medical, dental, paid time off and 401(k) with company match is also available. Spartan Logistics is an equal opportunity employer. All candidates must pass a pre-employment drug test and criminal background check. 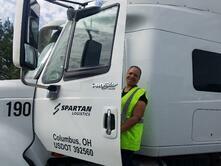 Spartan Logistics is a third-party (3PL) logistics company based in Columbus, OH. Family owned and operated since 1988, we've grown from a small, regional public warehouse and distribution provider to a logistics company with 16 strategically placed locations throughout North America, and a geographic footprint of nearly 3,000,000 square feet of warehouse space. Our growth is a testament to our employees, a commitment to customer service, and our continuous investment in an ever-changing market.